It's no secret that Cornwall is a one of our favourite places...ever! 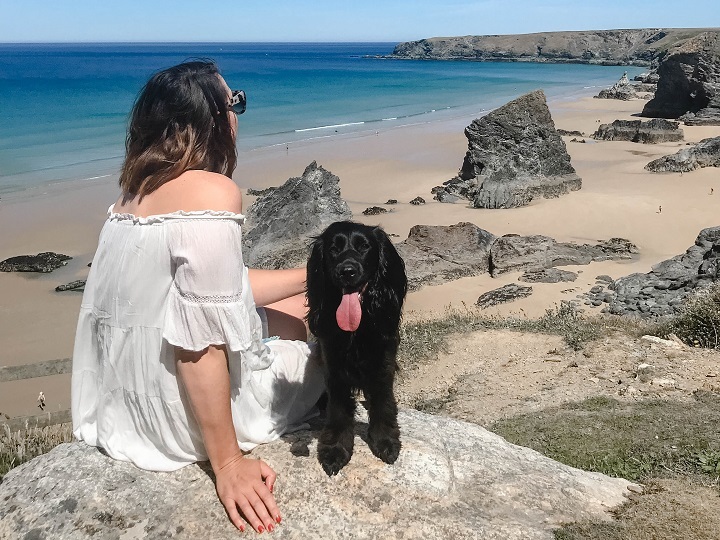 The Cornish coast is stunning and the county is extremely dog friendly, making it a great place to visit with Sev and Lily. 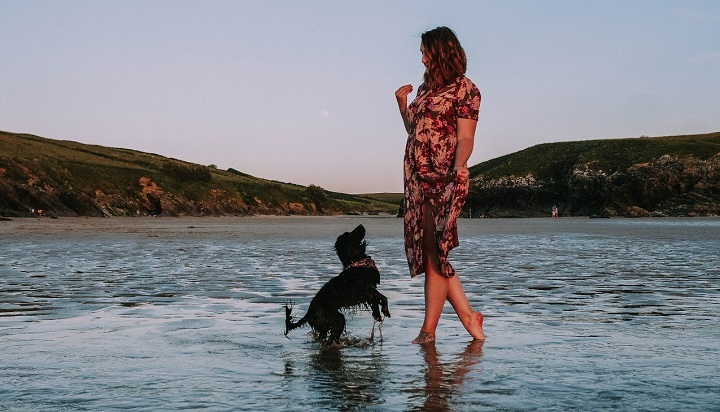 On the North Coast and close to Newquay, Polly Joke takes one of the Best Cornwall Dog Beaches for us. A small sandy cove and amazing for evening walks and sunsets. It has a very sweet feel to it, the perfect spot for a Summer evening BBQ. Just off Crantock main beach is The Gannel, where the beach heads down to a estuary. Spending many afternoon here as the tide floods the beach and fills up the estuary. It's perfect for human and hound swimming and SUPing with dogs too. Looking down onto The Gannel with the clear blue water it looks like perfection, and Cornwall showing off it's very best. 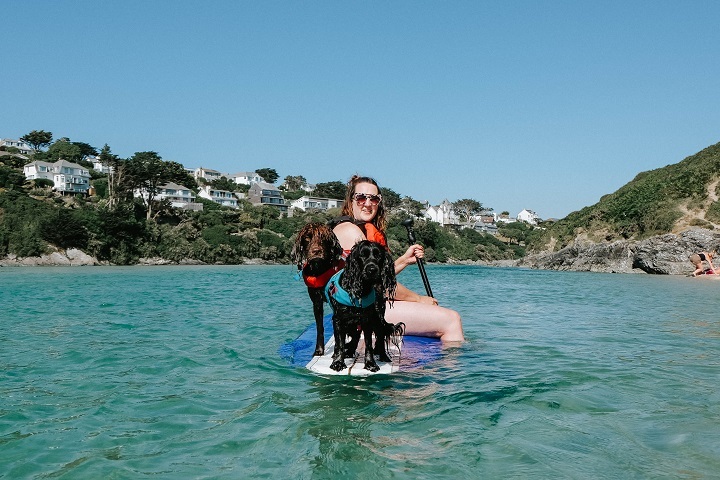 The North coast really has the best Cornwall Dog Beaches, and Bedruthren Steps is no different. Whilst the tide is out, this beach is a dream both long and sandy, amazing rock pools and of course the beautiful sea. The steep steps down are soon forgetting whilst walking along, again seeing that crystal blue water makes Cornwall even more stunning. From the amazing sand dunes you walk up and then met by a long sandy beach. 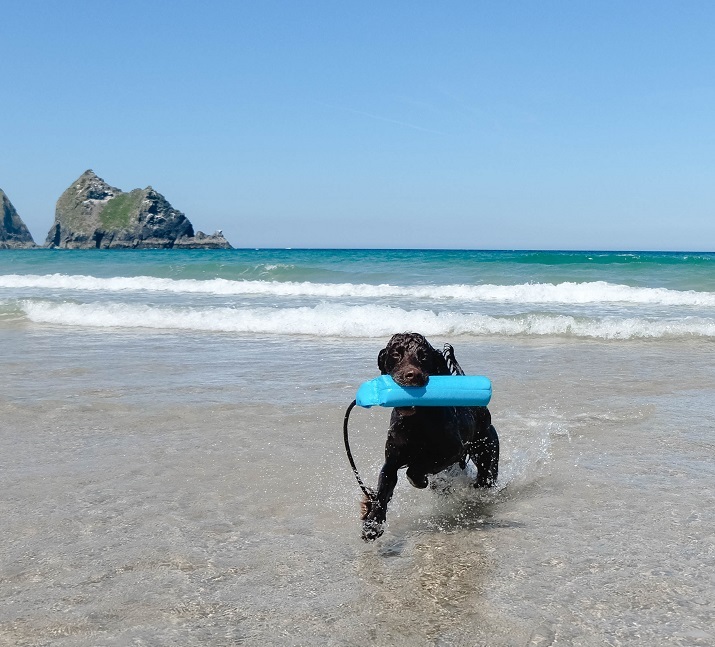 The mile long Cornwall dog beach is perfect for a long walk and splash in the water. At quieter times of year it could truly be paradise but this was one of the busier beaches through the Summer. We'll be back in Cornwall soon enough, and always share the best walks and beaches, but until then St Ives Penzance is a great tool for visiting Cornwall.